You can nominate for a custom page to be the landing page users see when logging in to your platform. This is useful to create shortcuts to key areas of the platform and/or give users a brief overview of its purpose and objectives. 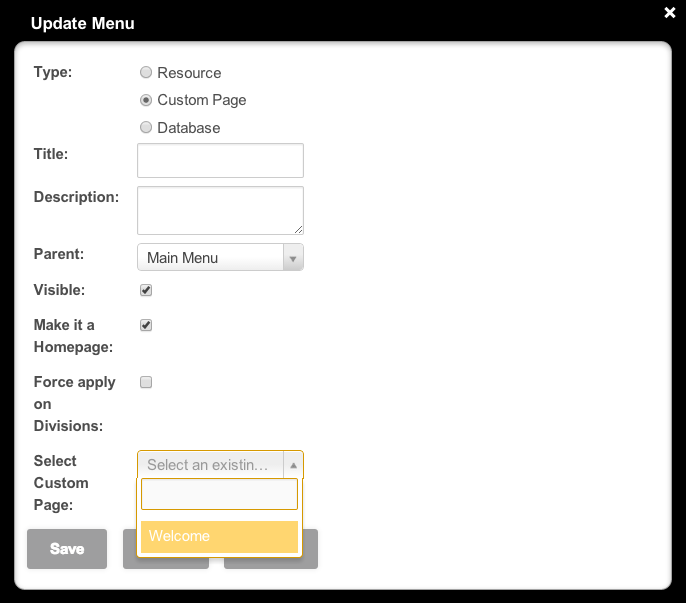 To do so, you first need to create a dedicated menu item on the navigation bar underAdmin > Templates and then click Add +. In the pop-up window, select the custom page you would like to use as a landing page and check the box Make it a Home Page. If you have divisions enabled, and would like to apply this landing page to all your divisions, check the box Apply to Divisions just below.